« KH008 – THE BABIES “LIVE AT THE SMELL” NOW ON SALE! 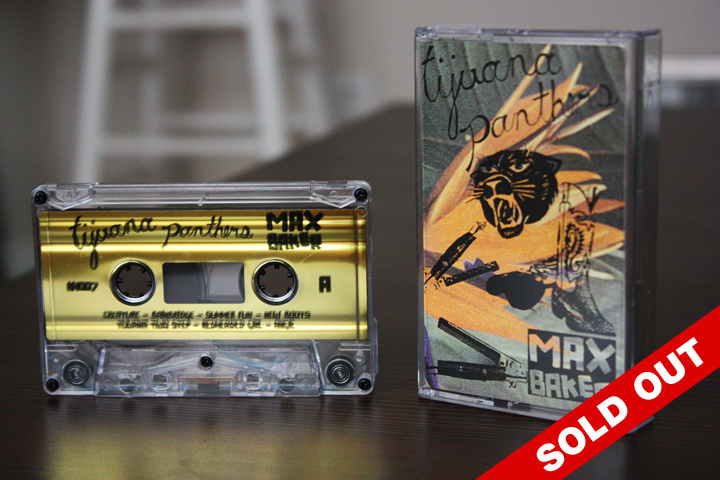 Tijuana Panthers might have a few copies left to sell at shows, but we can guarantee anything. You should, however, head on over to the band’s website and purchase a copy of Max Baker on vinyl. If you missed out on the tape (or not) this is a rad piece to add to your record collection! Tijuana Panthers plays this Sunday in Los Angeles with Thee Oh Sees + The Soft Pack. Definitely make this a part of yr Halloween plans!